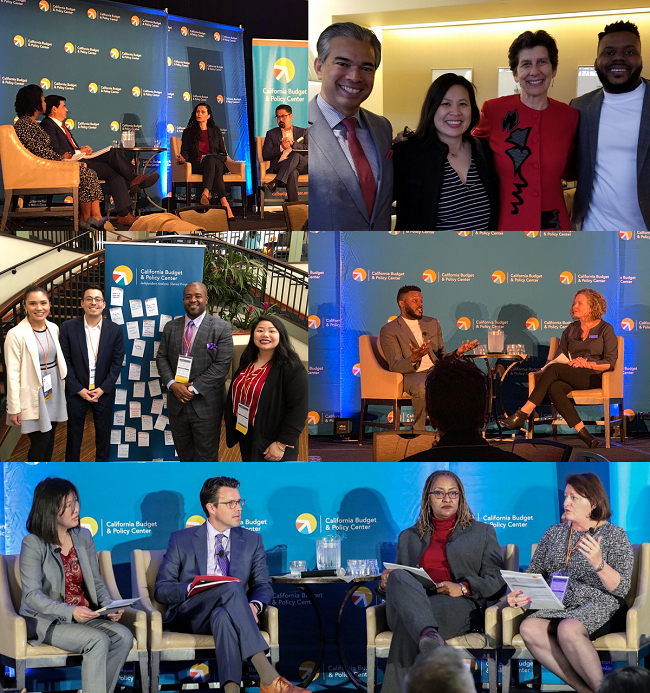 The California Budget & Policy Center’s regular updates highlight our new research and analyses, upcoming events, staff and board news, and other happenings in one convenient summary. Get the Budget Center Update straight to your inbox, along with all our other work, by joining our email list. The Budget Center recently hosted its annual conference, Policy Insights 2019. More than 400 people from around California joined us for Policy Insights to discuss ways our state can broaden economic opportunity and prosperity. A new chartbook from Senior Policy Analysts Alissa Anderson and Sara Kimberlin highlights highlights the benefits of earned income tax credits for families, children, and communities and discusses how Governor Gavin Newsom’s proposal to significantly expand the credit will impact state residents with low incomes. For the Goldman School of Public Policy’s Talk Policy To Me podcast, Senior Policy Analyst Sara Kimberlin discussed the differences between the California Earned Income Tax Credit (CalEITC) and other basic income proposals. Director of Research Scott Graves provided a guest post on Medi-Cal’s financing issues for the California Health Care Foundation’s blog. Our recent work includes a blog post by Policy Analyst Adriana Ramos-Yamamoto on how state policymakers can advance health equity, Data Hits from Policy Analyst Amy Rose on how California’s low-income college students face considerable unmet financial need, a Data Hit by Director of Research Scott Graves that shows nearly 9 in 10 undocumented adults with low incomes lack health coverage, and an Issue Brief by State Policy Fellow Esi Hutchful on the earned-income disregard (EID) in CalWORKs. Our annual conference, Policy Insights 2019, took place March 27 in Sacramento. November: Annual budget preview; we’re hiring! The Budget Center’s work and experts are often featured on a variety of national and local news outlets. The Budget Center team publishes a wide range of resources that examine key budget and policy issues and provide timely analysis and insights. The work of the California Budget & Policy Center’s team is made possible by foundation grants, subscriptions, and individual contributions. Event sponsorships are also available.